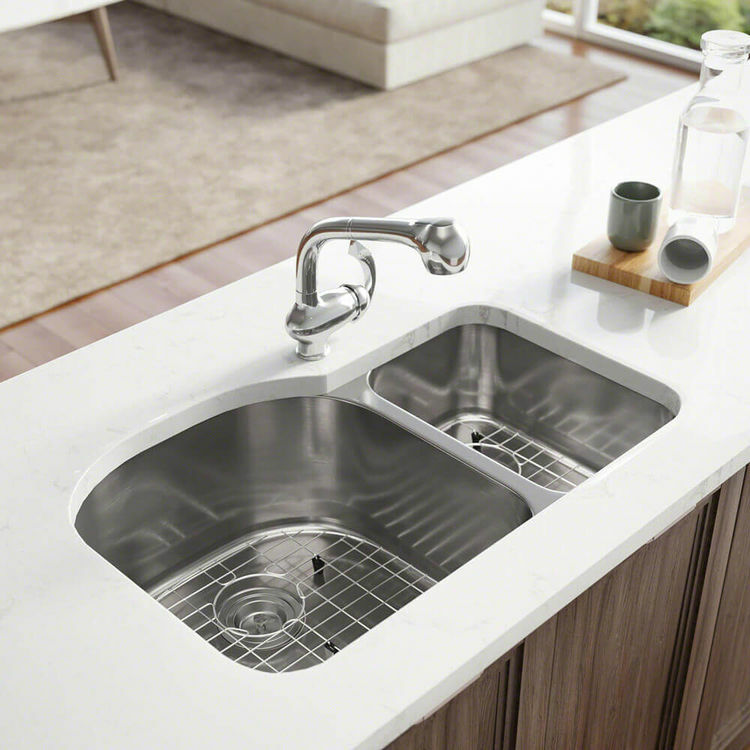 Are you bored with the suburban look of your kitchen? 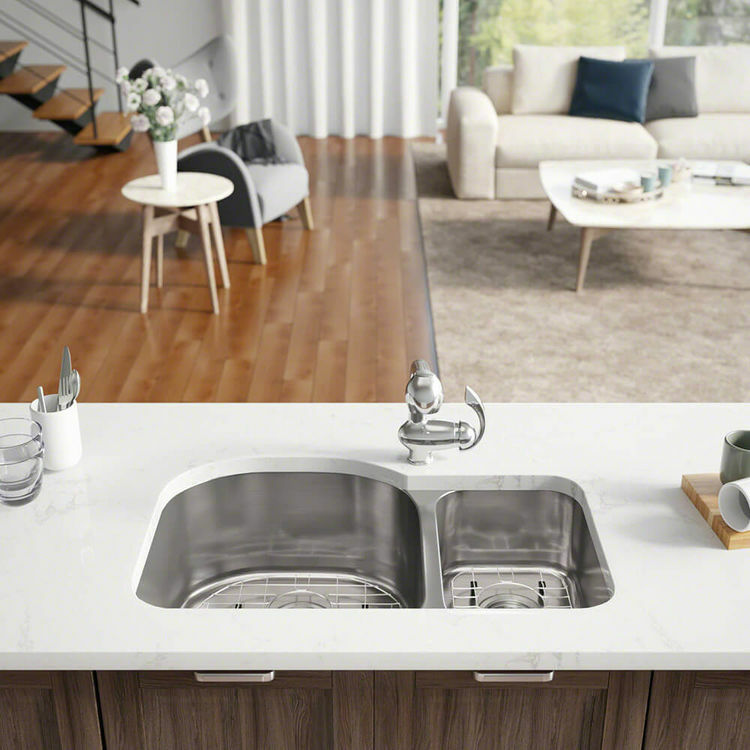 Get up and be excited to try this most updated kitchen innovation from Elkays new Rene Collection, the R1-1023L-16 kitchen sink package which will give a new stunning look to your kitchen! 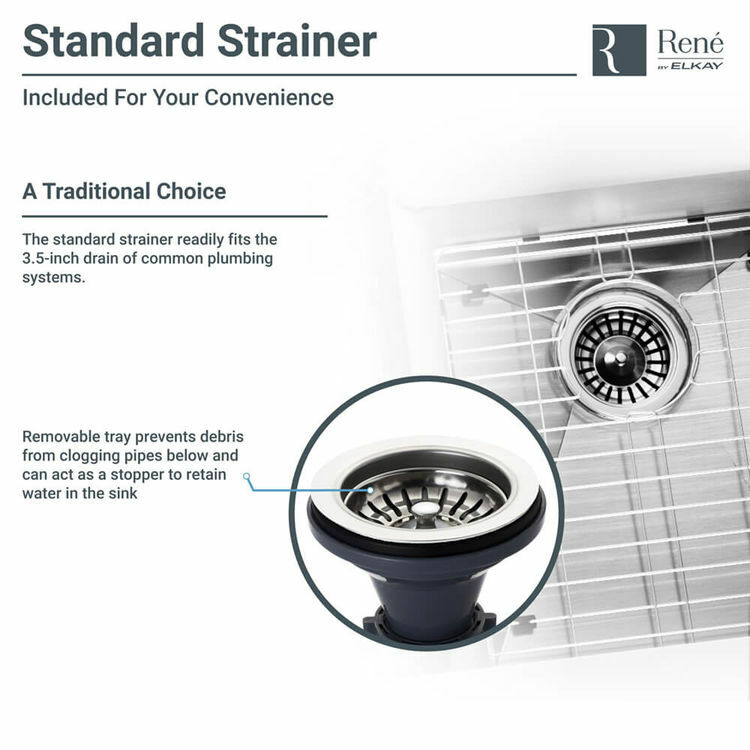 Made of stainless steel, this high-quality sink is resistant to rust and corrosion, providing you with long-lasting performance. 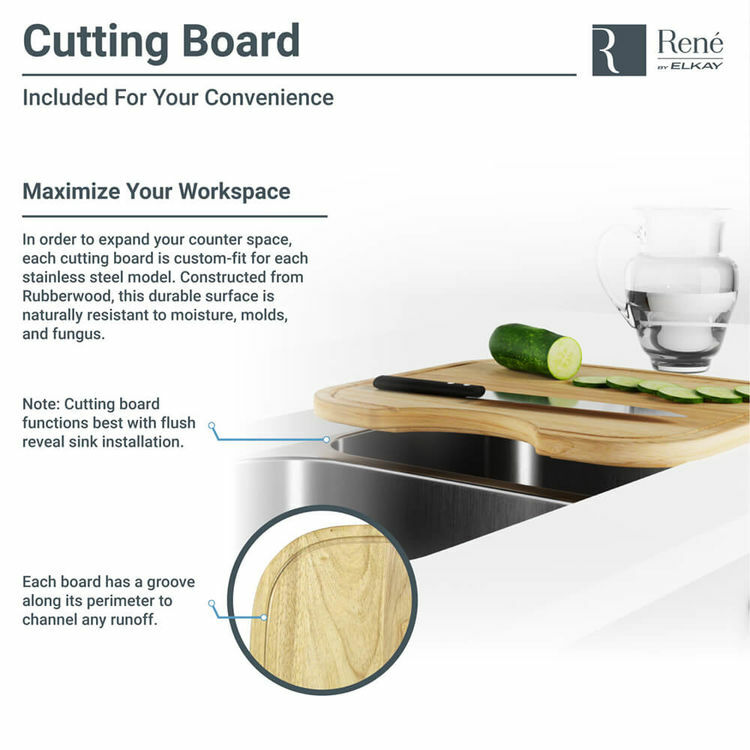 It features a classy one-piece construction and comes with a brushed satin finish that adds a gorgeous, captivating look inside your kitchen. 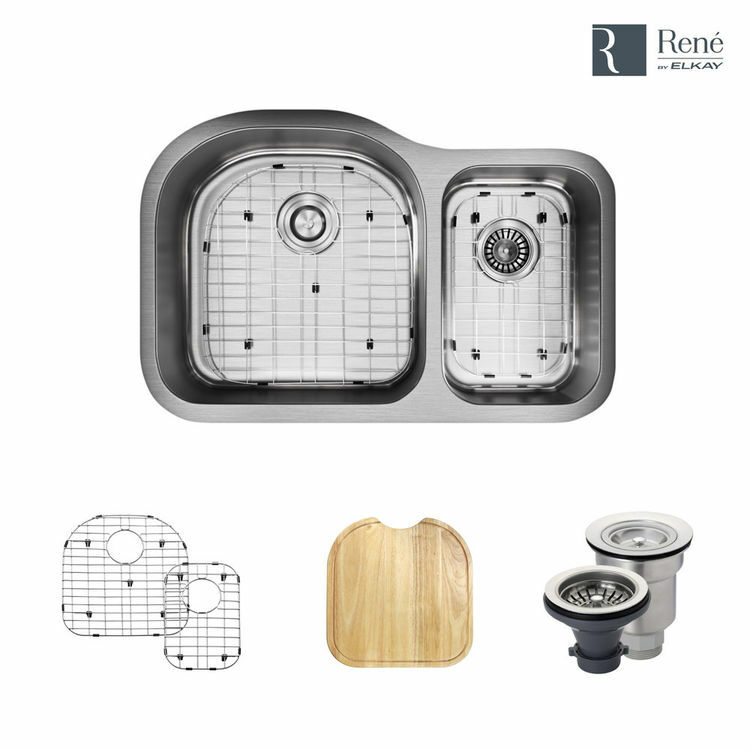 This Rene kitchen sink kit includes a solidly built cutting board, constructed from the hard Rubberwood tree, which is resistant to mold and moisture.It features two bowls of different sizes (a large D-shaped bowl on the left and a smaller bowl on the right) with finely curved corners that help promote a safe operation. 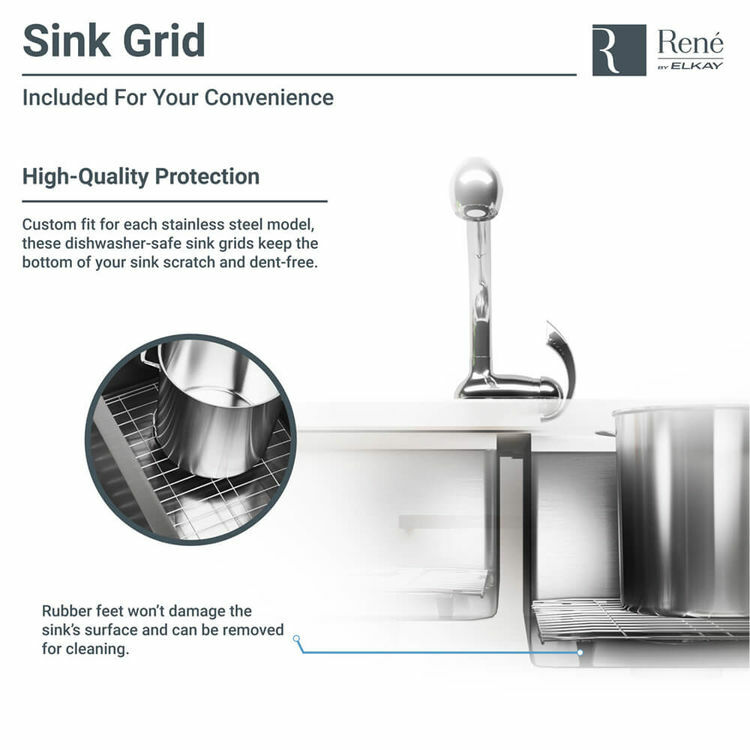 This sink package has two stainless steel grids, slightly raised by its removable rubber feet, which protect the sinks surface from dents and scratches. 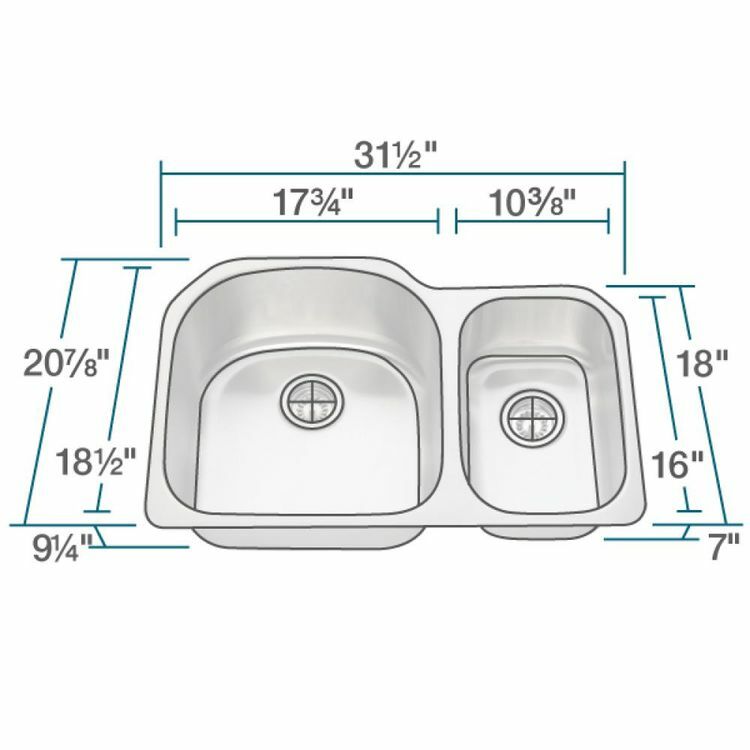 Featuring overall dimensions of 31.5" x 20.875" x 9.25", and a sturdy 16-gauge thickness, this Elkay's Rene R1-1023L-16 sink is designed for efficiency and durability. 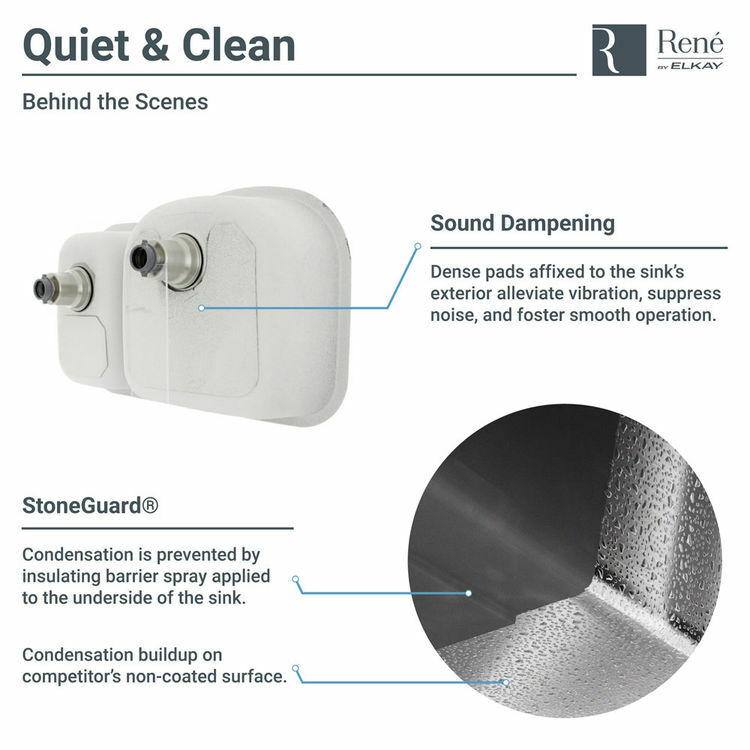 It is intended for an undermount installation. 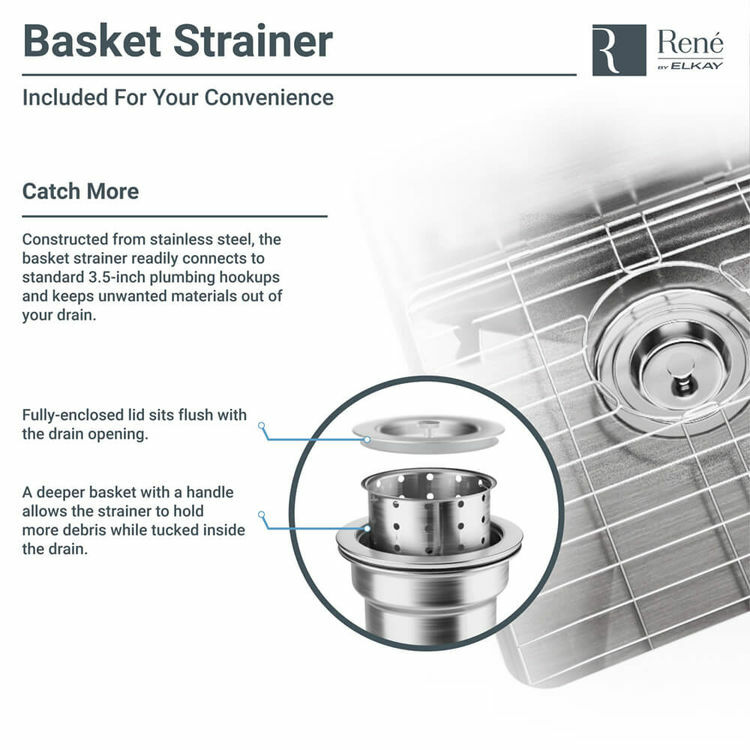 It also includes an offset drain, a standard strainer, a basket strainer, and a mounting kit for quick installation. 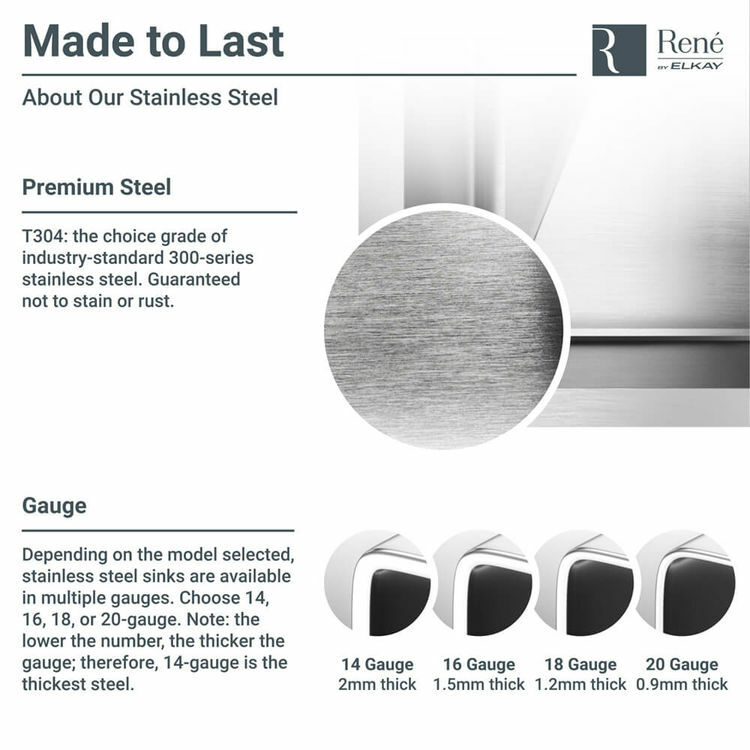 This product is covered by a Lifetime Limited Warranty backed by Elkay, your trusted partner in home evolution. 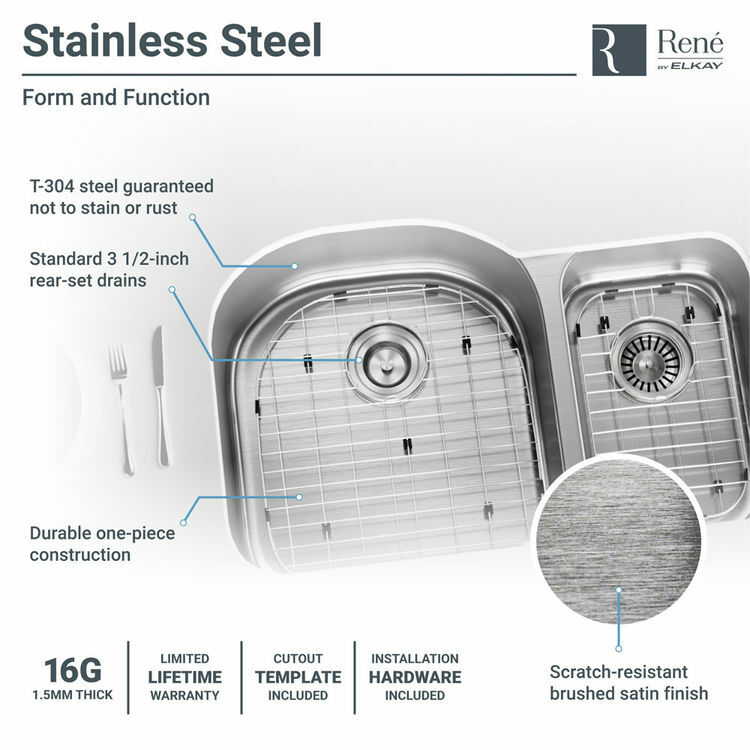 Size: 31.5" x 20.875" x 9.25"
With overall dimensions of 31.5" x 20.875" x 9.25"